During the mid-20th century, the philosopher Karl Popper emphasized the criterion of falsifiability to distinguish science from nonscience. Statements, hypotheses, or theories have falsifiability or refutability if there is the inherent possibility that they can be proven false. That is, if it is possible to conceive of an observation or an argument which negates them. Popper used astrology and psychoanalysis as examples of pseudoscience and Einstein's theory of relativity as an example of science. He subdivided nonscience into philosophical, mathematical, mythological, religious and metaphysical formulations on one hand, and pseudoscientific formulations on the other, though he did not provide clear criteria for the differences. Another example which shows the distinct need for a claim to be falsifiable was stated in Carl Sagan's publication The Demon-Haunted World when he discusses an invisible dragon that he has in his garage. The point is made that there is no physical test to refute the claim of the presence of this dragon. No matter what test you think you can devise, there is then a reason why this does not apply to the invisible dragon, so one can never prove that the initial claim is wrong. Sagan concludes; "Now, what's the difference between an invisible, incorporeal, floating dragon who spits heatless fire and no dragon at all?". He states that "your inability to invalidate my hypothesis is not at all the same thing as proving it true", once again explaining that even if such a claim were true, it would be outside the realm of scientific inquiry. During 1978, Paul Thagard proposed that pseudoscience is primarily distinguishable from science when it is less progressive than alternative theories over a long period of time, and its proponents fail to acknowledge or address problems with the theory. During 1983, Mario Bunge has suggested the categories of "belief fields" and "research fields" to help distinguish between pseudoscience and science, where the former is primarily personal and subjective and the latter involves a certain systematic method. The 2018 book The Skeptics' Guide to the Universe lists hostility to criticism as one of the major features of pseudoscience. For philosophers Silvio Funtowicz and Jerome R. Ravetz "pseudo-science may be defined as one where the uncertainty of its inputs must be suppressed, lest they render its outputs totally indeterminate". The definition, in the book Uncertainty and quality in science for policy (p. 54), alludes to the loss of craft skills in handling quantitative information, and to the bad practice of achieving precision in prediction (inference) only at the expenses of ignoring uncertainty in the input which was used to formulate the prediction. This use of the term is common among practitioners of post-normal science. Understood in this way, pseudoscience can be fought using good practices to assesses uncertainty in quantitative information, such as NUSAP and – in the case of mathematical modelling – sensitivity auditing. To demonstrate this point, Popper gave two cases of human behavior and typical explanations from Sigmund Freud and Alfred Adler's theories: "that of a man who pushes a child into the water with the intention of drowning it; and that of a man who sacrifices his life in an attempt to save the child." From Freud's perspective, the first man would have suffered from psychological repression, probably originating from an Oedipus complex, whereas the second man had attained sublimation. From Adler's perspective, the first and second man suffered from feelings of inferiority and had to prove himself, which drove him to commit the crime or, in the second case, drove him to rescue the child. Popper was not able to find any counterexamples of human behavior in which the behavior could not be explained in the terms of Adler's or Freud's theory. Popper argued it was that the observation always fitted or confirmed the theory which, rather than being its strength, was actually its weakness. Some statements and common beliefs of popular science may not meet the criteria of science. "Pop" science may blur the divide between science and pseudoscience among the general public, and may also involve science fiction. Indeed, pop science is disseminated to, and can also easily emanate from, persons not accountable to scientific methodology and expert peer review. If the claims of a given field can be tested experimentally and standards are upheld, it is not pseudoscience, however odd, astonishing, or counterintuitive the claims are. If claims made are inconsistent with existing experimental results or established theory, but the method is sound, caution should be used, since science consists of testing hypotheses which may turn out to be false. In such a case, the work may be better described as ideas that are "not yet generally accepted". Protoscience is a term sometimes used to describe a hypothesis that has not yet been tested adequately by the scientific method, but which is otherwise consistent with existing science or which, where inconsistent, offers reasonable account of the inconsistency. It may also describe the transition from a body of practical knowledge into a scientific field. Failure to make reasonable use of the principle of parsimony, i.e., failing to seek an explanation that requires the fewest possible additional assumptions when multiple viable explanations are possible (see: Occam's razor). Assertion of claims that a theory predicts something that it has not been shown to predict. Scientific claims that do not confer any predictive power are considered at best "conjectures", or at worst "pseudoscience" (e.g., ignoratio elenchi). Reversed burden of proof: science places the burden of proof on those making a claim, not on the critic. "Pseudoscientific" arguments may neglect this principle and demand that skeptics demonstrate beyond a reasonable doubt that a claim (e.g., an assertion regarding the efficacy of a novel therapeutic technique) is false. It is essentially impossible to prove a universal negative, so this tactic incorrectly places the burden of proof on the skeptic rather than on the claimant. 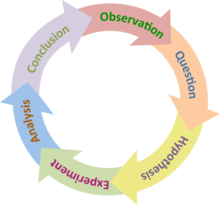 Evasion of peer review before publicizing results (termed "science by press conference"):[Note 5] Some proponents of ideas that contradict accepted scientific theories avoid subjecting their ideas to peer review, sometimes on the grounds that peer review is biased towards established paradigms, and sometimes on the grounds that assertions cannot be evaluated adequately using standard scientific methods. By remaining insulated from the peer review process, these proponents forgo the opportunity of corrective feedback from informed colleagues. A large percentage of the United States population lacks scientific literacy, not adequately understanding scientific principles and method. [Note 8][Note 9][Note 10] In the Journal of College Science Teaching, Art Hobson writes, "Pseudoscientific beliefs are surprisingly widespread in our culture even among public school science teachers and newspaper editors, and are closely related to scientific illiteracy." However, a 10,000-student study in the same journal concluded there was no strong correlation between science knowledge and belief in pseudoscience. In his book The Demon-Haunted World Carl Sagan discusses the government of China and the Chinese Communist Party's concern about Western pseudoscience developments and certain ancient Chinese practices in China. He sees pseudoscience occurring in the United States as part of a worldwide trend and suggests its causes, dangers, diagnosis and treatment may be universal. During 2006, the U.S. National Science Foundation (NSF) issued an executive summary of a paper on science and engineering which briefly discussed the prevalence of pseudoscience in modern times. It said, "belief in pseudoscience is widespread" and, referencing a Gallup Poll, stated that belief in the 10 commonly believed examples of paranormal phenomena listed in the poll were "pseudoscientific beliefs". The items were "extrasensory perception (ESP), that houses can be haunted, ghosts, telepathy, clairvoyance, astrology, that people can communicate mentally with someone who has died, witches, reincarnation, and channelling". Such beliefs in pseudoscience represent a lack of knowledge of how science works. The scientific community may attempt to communicate information about science out of concern for the public's susceptibility to unproven claims. Michael Shermer's theory of belief-dependent realism is driven by the belief that the brain is essentially a "belief engine" which scans data perceived by the senses and looks for patterns and meaning. There is also the tendency for the brain to create cognitive biases, as a result of inferences and assumptions made without logic and based on instinct — usually resulting in patterns in cognition. These tendencies of patternicity and agenticity are also driven "by a meta-bias called the bias blind spot, or the tendency to recognize the power of cognitive biases in other people but to be blind to their influence on our own beliefs". Lindeman states that social motives (i.e., "to comprehend self and the world, to have a sense of control over outcomes, to belong, to find the world benevolent and to maintain one's self-esteem") are often "more easily" fulfilled by pseudoscience than by scientific information. Furthermore, pseudoscientific explanations are generally not analyzed rationally, but instead experientially. Operating within a different set of rules compared to rational thinking, experiential thinking regards an explanation as valid if the explanation is "personally functional, satisfying and sufficient", offering a description of the world that may be more personal than can be provided by science and reducing the amount of potential work involved in understanding complex events and outcomes. There is a trend to believe in pseudoscience more than scientific evidence. Some people believe the prevalence of pseudoscientific beliefs is due to widespread "scientific illiteracy". Individuals lacking scientific literacy are more susceptible to wishful thinking, since they are likely to turn to immediate gratification powered by System 1, our default operating system which requires little to no effort. This system encourages one to accept the conclusions they believe, and reject the ones they do not. Further analysis of complex pseudoscientific phenomena require System 2, which follows rules, compares objects along multiple dimensions and weighs options. These two systems have several other differences which are further discussed in the dual-process theory. The scientific and secular systems of morality and meaning are generally unsatisfying to most people. Humans are, by nature, a forward-minded species pursuing greater avenues of happiness and satisfaction, but we are all too frequently willing to grasp at unrealistic promises of a better life. In the philosophy and history of science, Imre Lakatos stresses the social and political importance of the demarcation problem, the normative methodological problem of distinguishing between science and pseudoscience. His distinctive historical analysis of scientific methodology based on research programmes suggests: "scientists regard the successful theoretical prediction of stunning novel facts – such as the return of Halley's comet or the gravitational bending of light rays – as what demarcates good scientific theories from pseudo-scientific and degenerate theories, and in spite of all scientific theories being forever confronted by 'an ocean of counterexamples'". Lakatos offers a "novel fallibilist analysis of the development of Newton's celestial dynamics, [his] favourite historical example of his methodology" and argues in light of this historical turn, that his account answers for certain inadequacies in those of Karl Popper and Thomas Kuhn. "Nonetheless, Lakatos did recognize the force of Kuhn's historical criticism of Popper – all important theories have been surrounded by an 'ocean of anomalies', which on a falsificationist view would require the rejection of the theory outright... Lakatos sought to reconcile the rationalism of Popperian falsificationism with what seemed to be its own refutation by history". The boundary between science and pseudoscience is disputed and difficult to determine analytically, even after more than a century of study by philosophers of science and scientists, and despite some basic agreements on the fundamentals of the scientific method. The concept of pseudoscience rests on an understanding that the scientific method has been misrepresented or misapplied with respect to a given theory, but many philosophers of science maintain that different kinds of methods are held as appropriate across different fields and different eras of human history. According to Lakatos, the typical descriptive unit of great scientific achievements is not an isolated hypothesis but "a powerful problem-solving machinery, which, with the help of sophisticated mathematical techniques, digests anomalies and even turns them into positive evidence". It becomes pseudoscientific when science cannot be separated from ideology, scientists misrepresent scientific findings to promote or draw attention for publicity, when politicians, journalists and a nation's intellectual elite distort the facts of science for short-term political gain, or when powerful individuals of the public conflate causation and cofactors by clever wordplay. These ideas reduce the authority, value, integrity and independence of science in society. 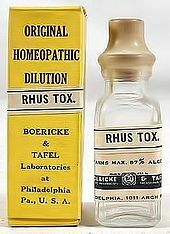 Pseudosciences such as homeopathy, even if generally benign, are used by charlatans. This poses a serious issue because it enables incompetent practitioners to administer health care. True-believing zealots may pose a more serious threat than typical con men because of their affection to homeopathy's ideology. Irrational health care is not harmless and it is careless to create patient confidence in pseudomedicine. On December 8, 2016, Michael V. LeVine, writing in Business Insider, pointed out the dangers posed by the Natural News website: "Snake-oil salesmen have pushed false cures since the dawn of medicine, and now websites like Natural News flood social media with dangerous anti-pharmaceutical, anti-vaccination and anti-GMO pseudoscience that puts millions at risk of contracting preventable illnesses." "A pretended or spurious science; a collection of related beliefs about the world mistakenly regarded as being based on scientific method or as having the status that scientific truths now have". Oxford English Dictionary, second edition 1989. "Many writers on pseudoscience have emphasized that pseudoscience is non-science posing as science. The foremost modern classic on the subject (Gardner 1957) bears the title Fads and Fallacies in the Name of Science. According to Brian Baigrie (1988, 438), '[w]hat is objectionable about these beliefs is that they masquerade as genuinely scientific ones.' These and many other authors assume that to be pseudoscientific, an activity or a teaching has to satisfy the following two criteria (Hansson 1996): (1) it is not scientific, and (2) its major proponents try to create the impression that it is scientific." ^ a b "We can now propose the following principle of demarcation: A theory or discipline which purports to be scientific is pseudoscientific if and only if: it has been less progressive than alternative theories over a long period of time, and faces many unsolved problems; but the community of practitioners makes little attempt to develop the theory towards solutions of the problems, shows no concern for attempts to evaluate the theory in relation to others, and is selective in considering confirmations and non confirmations." ^ e.g. archivefreedom.org, which claims that "The list of suppressed scientists even includes Nobel Laureates!" ^ "Surveys conducted in the United States and Europe reveal that many citizens do not have a firm grasp of basic scientific facts and concepts, nor do they have an understanding of the scientific process. In addition, belief in pseudoscience (an indicator of scientific illiteracy) seems to be widespread among Americans and Europeans." ^ "A new national survey commissioned by the California Academy of Sciences and conducted by Harris Interactive® reveals that the U.S. public is unable to pass even a basic scientific literacy test." ^ "In a survey released earlier this year, Miller and colleagues found that about 28 percent of American adults qualified as scientifically literate, which is an increase of about 10 percent from the late 1980s and early 1990s." ^ "From a practical point of view, the distinction is important for decision guidance in both private and public life. Since science is our most reliable source of knowledge in a wide variety of areas, we need to distinguish scientific knowledge from its look-alikes. Due to the high status of science in present-day society, attempts to exaggerate the scientific status of various claims, teachings, and products are common enough to make the demarcation issue serious. For example, creation science may replace evolution in studies of biology." ^ Frietsch U (7 April 2015). "The boundaries of science / pseudoscience". European History Online (EGO). Archived from the original on 15 April 2017. Retrieved 15 April 2017. ^ "Online Etymology Dictionary". Douglas Harper. 2015. ^ a b Magendie F (1843). An Elementary Treatise on Human Physiology. John Revere (5th ed.). New York: Harper. p. 150. 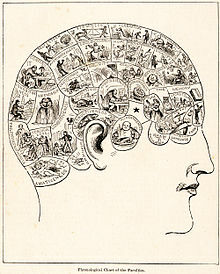 Magendie refers to phrenology as "a pseudo-science of the present day"
^ Still A, Dryden W (2004). "The Social Psychology of "Pseudoscience": A Brief History". J Theory Soc Behav. 34 (3): 265–90. doi:10.1111/j.0021-8308.2004.00248.x. ^ a b c d Hansson, Sven Ove (2017). Zalta, Edward N. (ed.). The Stanford Encyclopedia of Philosophy (Summer 2017 ed.). Metaphysics Research Lab, Stanford University. ^ Novella, Steven, et al. The Skeptics' Guide to the Universe: How to Know What's Really Real in a World Increasingly Full of Fake. Grand Central Publishing, 2018. pp. 165. ^ Feyerabend P (1975). "Table of contents and final chapter". Against Method: Outline of an Anarchistic Theory of Knowledge. ISBN 978-0-86091-646-8. Archived from the original on 2007-12-12. ^ Laudan L (1996). "The demise of the demarcation problem". In Ruse M (ed.). But Is It Science? : The Philosophical Question in the Creation/Evolution Controversy. pp. 337–350. ^ McNally RJ (2003). "Is the pseudoscience concept useful for clinical psychology?". The Scientific Review of Mental Health Practice. 2 (2). Archived from the original on 2010-04-30. ^ "Pseudoscience". The Skeptic's Dictionary. Archived from the original on 2009-02-01. ^ Greener M (December 2007). "Taking on creationism. Which arguments and evidence counter pseudoscience?". EMBO Reports. 8 (12): 1107–9. doi:10.1038/sj.embor.7401131. PMC 2267227. 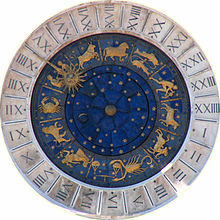 PMID 18059309. ^ Gould SJ (March 1997). "Nonoverlapping magisteria". Natural History. No. 106. pp. 16–22. Archived from the original on January 4, 2017. ^ "Royal Society statement on evolution, creationism and intelligent design" (Press release). London, UK: Royal Society. 11 April 2006. Archived from the original on October 13, 2007. ^ Pendle G. "Popular Science Feature – When Science Fiction is Science Fact". Archived from the original on 2006-02-14. ^ e.g. Gauch (2003), pp. 211 ff (Probability, "Common Blunders"). ^ Donald E. Simanek. "What is science? What is pseudoscience?". Archived from the original on 2009-04-25. ^ a b Lakatos I (1970). "Falsification and the Methodology of Scientific Research Programmes". In Lakatos I, Musgrave A (eds.). Criticism and the Growth of Knowledge. pp. 91–195. ^ Eileen Gambrill (1 May 2012). Critical Thinking in Clinical Practice: Improving the Quality of Judgments and Decisions (3rd ed.). John Wiley & Sons. p. 109. ISBN 978-0-470-90438-1. ^ Gitanjali B (2001). "Peer review -- process, perspectives and the path ahead" (PDF). Journal of Postgraduate Medicine. 47 (3): 210–4. PMID 11832629. Archived from the original (PDF) on 2006-06-23. ^ Stone S, Ng A. "American adults flunk basic science: National survey shows only one-in-five adults can answer three science questions correctly" (Press release). California Academy of Sciences. Archived from the original on October 18, 2013. ^ Raloff J (21 February 2010). "Science literacy: U.S. college courses really count". Science News. Society for Science & the Public. Archived from the original on 13 October 2017. Retrieved 13 October 2017. ^ Oswald T (15 November 2007). "MSU prof: Lack of science knowledge hurting democratic process". MSUToday. Michigan State University. Archived from the original on 11 September 2013. Retrieved August 28, 2013. ^ Hobson A (2011). "Teaching relevant science for scientific literacy" (PDF). Journal of College Science Teaching. Archived from the original (PDF) on 2011-08-24. ^ Impey C, Buxner S, et al. (2011). "A twenty-year survey of science literacy among college undergraduates" (PDF). Journal of College Science Teaching. 40 (1): 31–37. ^ National Science Board (February 2006). "Appendix table 7-16: Attitudes toward science and technology, by country/region: Most recent year". Science and Engineering Indicators 2006. Volume 2: Appendix Tables. Arlington, VA: National Science Foundation. p. A7–17. ^ FOX News (June 18, 2004). "Poll: More Believe In God Than Heaven". Fox News Channel. Archived from the original on March 5, 2009. Retrieved Apr 26, 2009. ^ Taylor H (February 26, 2003). "Harris Poll: The Religious and Other Beliefs of Americans 2003". Archived from the original on January 11, 2007. Retrieved Apr 26, 2009. ^ Singer B, Benassi VA (January–February 1981). "Occult beliefs: Media distortions, social uncertainty, and deficiencies of human reasoning seem to be at the basis of occult beliefs". American Scientist. Vol. 69 no. 1. pp. 49–55. JSTOR 27850247. ^ Eve RA, Dunn D (January 1990). "Psychic powers, astrology & creationism in the classroom? Evidence of pseudoscientific beliefs among high school biology & life science teachers" (PDF). The American Biology Teacher. Vol. 52 no. 1. pp. 10–21. doi:10.2307/4449018. Archived (PDF) from the original on 2017-10-13. ^ Beyerstein B, Hadaway P (1991). "On avoiding folly". Journal of Drug Issues. 20 (4): 689–700. doi:10.1177/002204269002000418. ^ Shermer M (July 2011). "Understanding the believing brain: Why science is the only way out of belief-dependent realism". Scientific American. Archived from the original on 30 August 2016. Retrieved 14 August 2016. ^ Lindeman M (December 1998). "Motivation, cognition and pseudoscience". Scandinavian Journal of Psychology. 39 (4): 257–65. doi:10.1111/1467-9450.00085. PMID 9883101. ^ Matute H, Blanco F, Yarritu I, Díaz-Lago M, Vadillo MA, Barberia I (2015). "Illusions of causality: how they bias our everyday thinking and how they could be reduced". Frontiers in Psychology. 6: 888. doi:10.3389/fpsyg.2015.00888. PMC 4488611. PMID 26191014. ^ Lack C (10 October 2013). "What does Scientific Literacy look like in the 21st Century?". Great Plains Skeptic. Skeptic Ink Network. Archived from the original on 13 April 2014. Retrieved 9 April 2014. ^ a b Matute H, Yarritu I, Vadillo MA (August 2011). "Illusions of causality at the heart of pseudoscience". British Journal of Psychology. 102 (3): 392–405. CiteSeerX 10.1.1.298.3070. doi:10.1348/000712610X532210. PMID 21751996. ^ a b Bird A (2008). "The Historical Turn in the Philosophy of Science" (PDF). In Psillos S, Curd M (eds.). Routledge Companion to the Philosophy of Science. Abingdon: Routledge. pp. 9, 14. Archived (PDF) from the original on 2013-06-01. ^ Gordin MD (2015). "That a clear line of demarcation has separated science from pseudoscience". In Numbers RL, Kampourakis K (eds.). Newton's Apple and Other Myths about Science. Harvard University Press. pp. 219–225. ISBN 9780674915473. ^ Newbold D, Roberts J (December 2007). "An analysis of the demarcation problem in science and its application to therapeutic touch theory". International Journal of Nursing Practice. 13 (6): 324–30. doi:10.1111/j.1440-172X.2007.00646.x. PMID 18021160. ^ Laudan L (1983). "The Demise of the Demarcation Problem". In Cohen RS, Laudan L (eds.). Physics, Philosophy and Psychoanalysis: Essays in Honor of Adolf Grünbaum. Boston Studies in the Philosophy of Science. 76. Dordrecht: D. Reidel. pp. 111–127. ISBN 978-90-277-1533-3. ^ Makgoba MW (May 2002). "Politics, the media and science in HIV/AIDS: the peril of pseudoscience". Vaccine. 20 (15): 1899–904. doi:10.1016/S0264-410X(02)00063-4. PMID 11983241. ^ Efthimiou (2006), p. 4 — Efthimiou quoting Friedman: "We could dignify pseudoscience by mentioning it at all". ^ The National Council Against Health Fraud (1994). "NCAHF Position Paper on Homeopathy". ^ Lack, Caleb; Rousseau, Jacques (2016). Critical Thinking, Science, and Pseudoscience: Why We Can't Trust Our Brains. New York: Springer Publishing Company, LLC. p. 221. ISBN 9780826194190. Bunge M (1983). "Demarcating science from pseudoscience". Fundamenta Scientiae. 3: 369–388. C.J. Efthimiou; R. Llewellyn (2006). "Is pseudoscience the solution to science literacy?". arXiv:physics/0608061. Hansson SO (September 3, 2008). "Science and Pseudo-Science". Stanford Encyclopedia of Philosophy. Metaphysics Research Lab, Stanford University. Little, John (October 29, 1981). "Review and useful overview of Gardner's book". New Scientist. 92 (1277): 320.